Embroidery projects “In the Hoop” are very popular and make putting together small items incredibly easy. I’m sure you’ve probably purchased some of the great designs that are ready for you embroider and have had great results. It’s fun to just sew out a design that is ready, but after all you did purchase your software because of all the great things you can create. 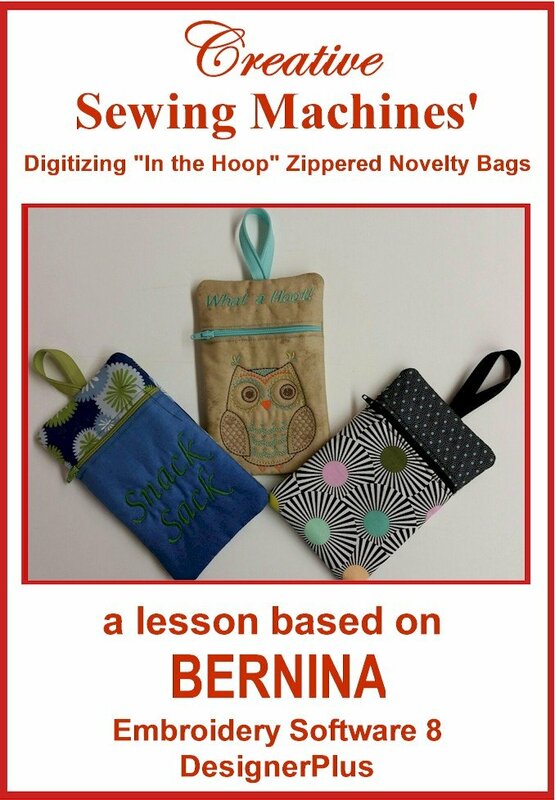 Digitizing your own stitching lines gives you a lot of versatility in sizes, themes, etc. While this lesson is fairly simple it uses lots of embroidery basics. V8 has changed a lot of little background things in every project as well as major things.